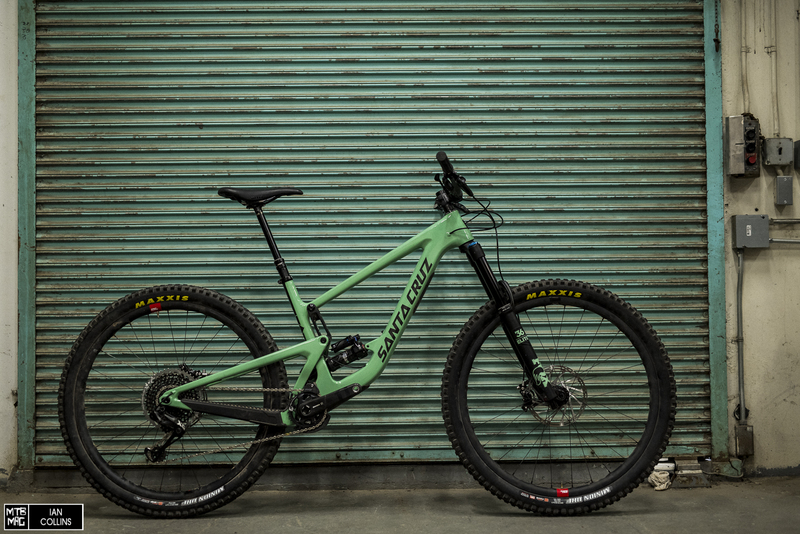 Here it is in all its glory…At the moment, the bike will be available in the above color as well as a matte black which has a greenish tinge to it. 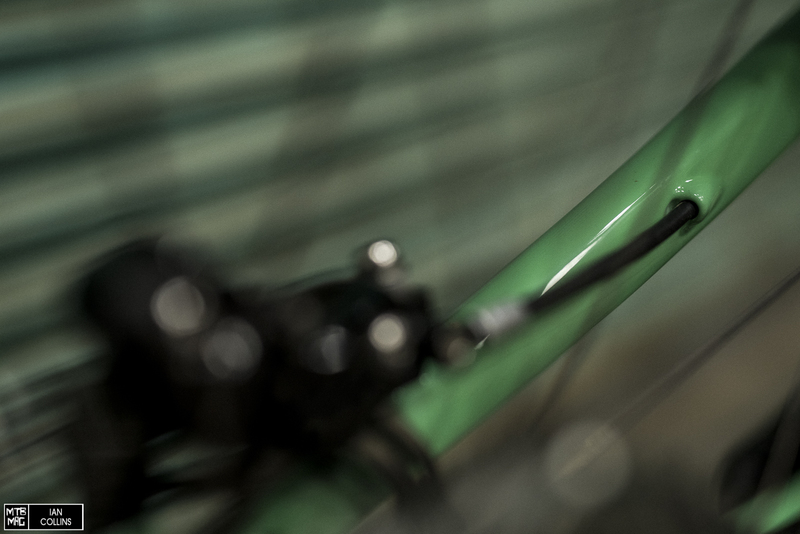 However, I also heard mutterings of a special colorway which will be available in a short run of 100 bikes. 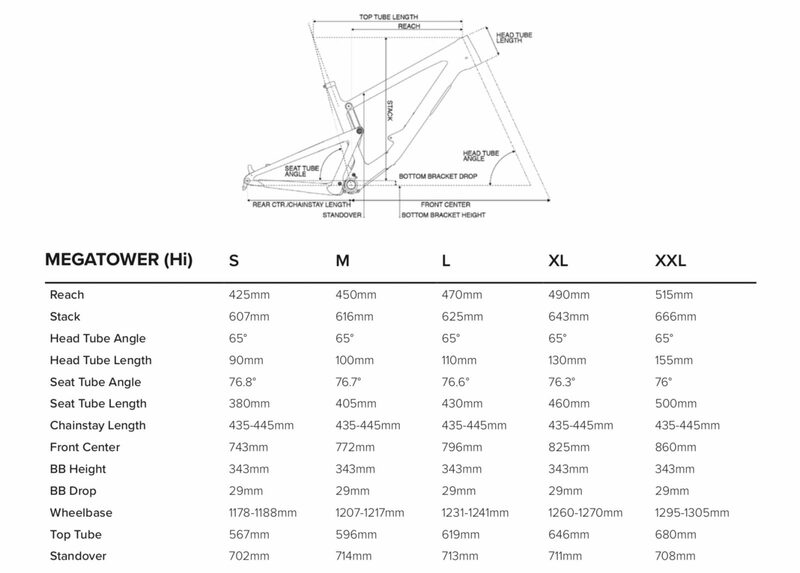 As mentioned, the MegaTower takes on the Nomad’s interpretation of VPP, regarding frame construction. 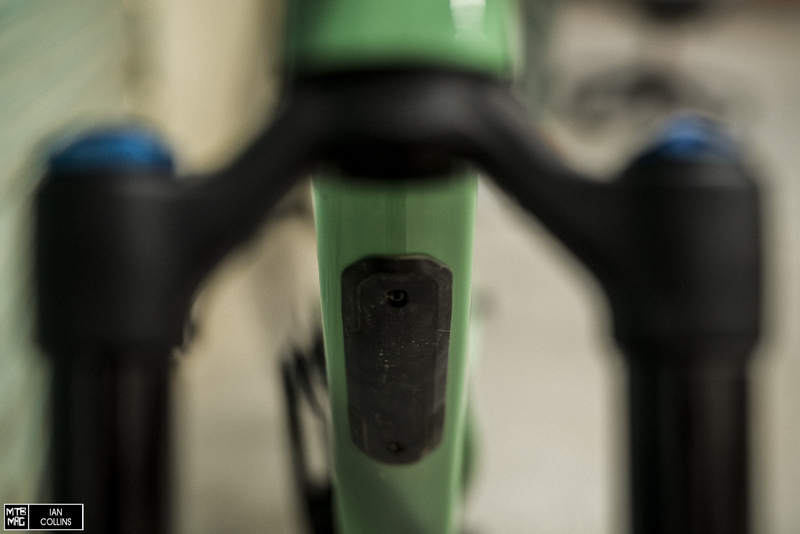 Many will be fitted with the new RockShox Super Deluxe “Ultimate”, which is placed through an opening where the seat tube meets the bottom bracket area. 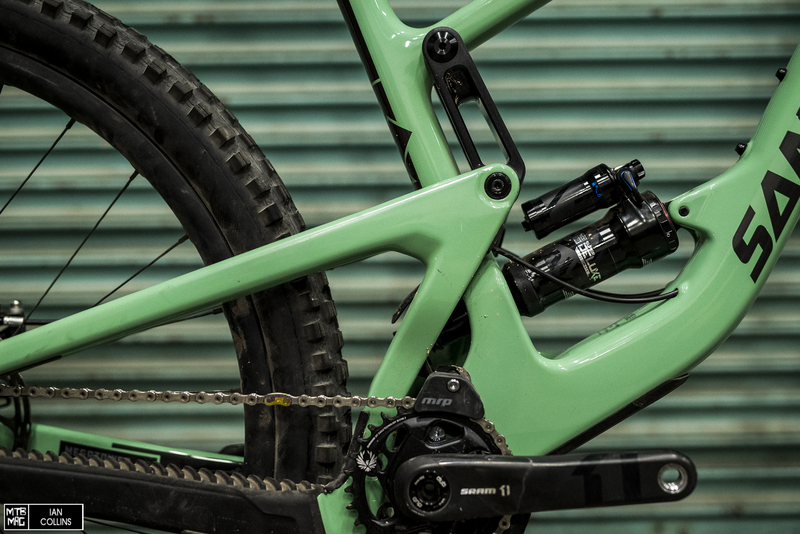 The shock shaft is covered by a mini fender, and the lower shock mount features a very usable flip chip which offers a subtle 3.5mm of BB drop and .3º of head angle variance. 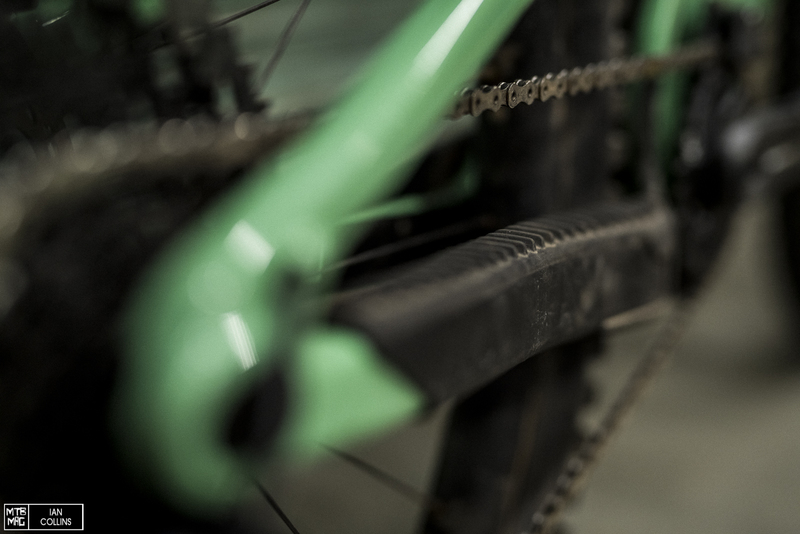 Going the way of the Specialized Stumpjumper, the Megatower features a ribbed upper surface on its chainstay protector in an attempt to dampen noise. 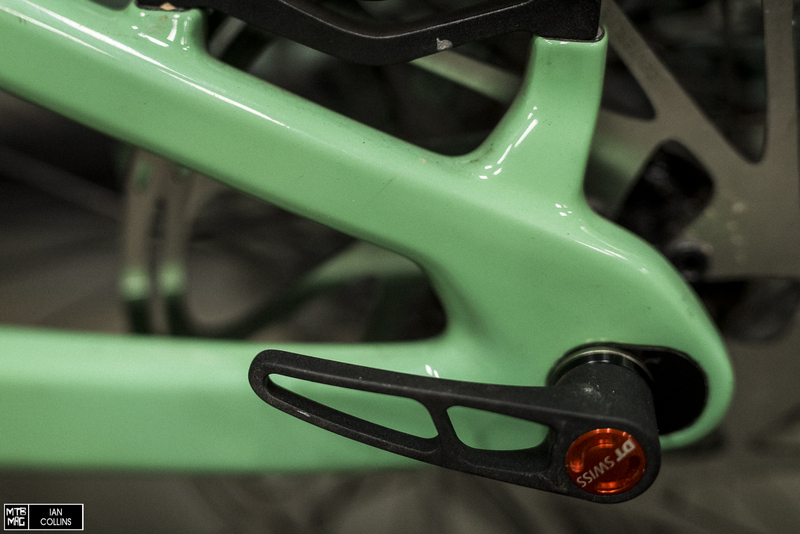 The downtube features a discrete, bolt on shuttle guard to protect from damage via tailgates. 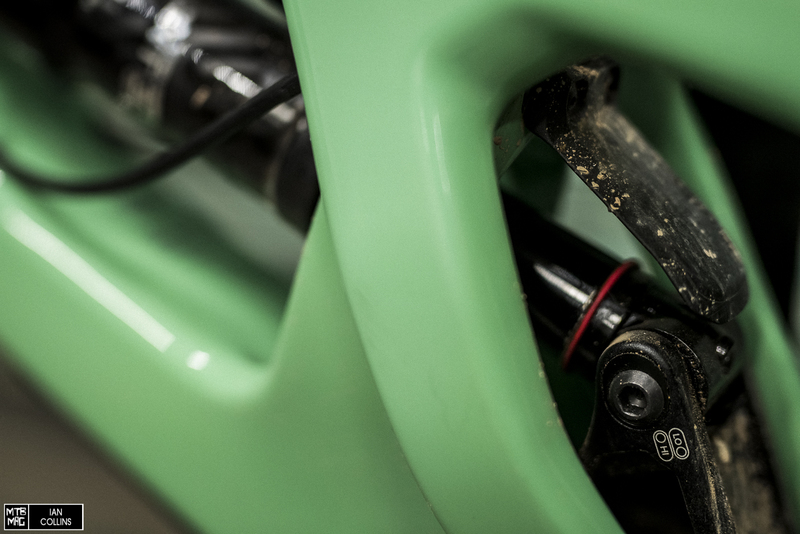 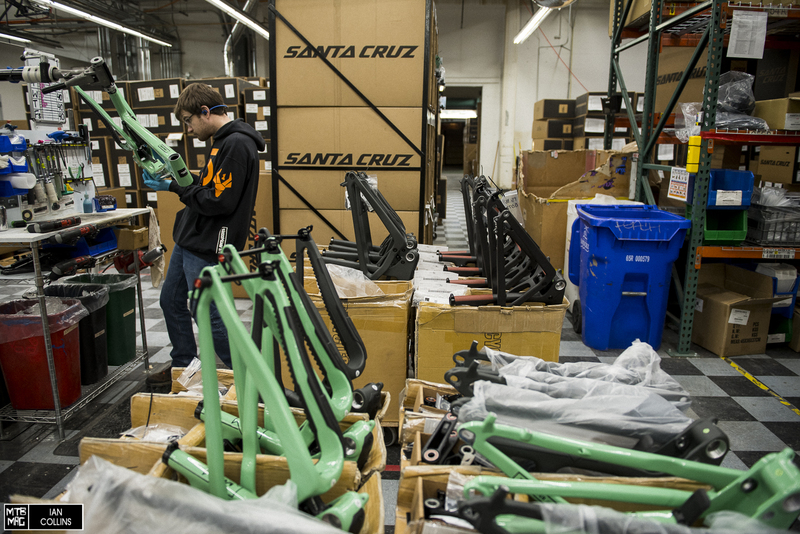 Last, but not least, like most Santa Cruz bikes these days, the MegaTower has internal, sleeved cable and hose routings both front and rear.